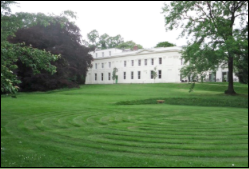 Woodbrooke is Europe’s only Quaker study center, providing a peaceful setting for contemplative learning for people of all faiths since 1903. What began as an institution geared toward educating guests about Quakerism and Quaker values is now also open to groups and individuals interested in hosting their own meetings and retreats. As the staff worked toward expanding their mission in this way, they looked to Executive Soul to help them find balance maintaining their core values while cultivating a professional and service-oriented atmosphere. Strike a balance between offering a peaceful setting and providing professional services for guests. Through contemplative and team building exercises, Woodbrooke teaching and operations staff members were able to identify and combine individual strengths to reinforce the values that make them a team. Their stronger collective vision and improved relationships have enhanced the Woodbrooke experience, for both staff members and guests.